This year, International Women's Day in Russia is coming back to its political roots. All around the world, Women’s Day activities typically promote discussions of gender inequality. Issues such as unequal pay, education, voting rights and gender-based violence are, at least for one day, important talking points in the media. This politicized tone was once the norm in Russia, too. Although Women’s Day originated in the U.S., it was a state holiday in the Soviet Union starting from 1918. But over the years in Russia the holiday has morphed into an extension of Mother’s Day combined with Valentine’s Day. Russian women can expect flowers, chocolates and champagne as shop windows, supermarkets and market stalls are inundated with commercial bids to appease tradition on behalf of male partners and family. It’s a day of presents and poems, not a day to discuss the difficulties Russian women face in their everyday lives. Recently those difficulties have been exacerbated by policy changes. Since 2017, when President Vladimir Putin signed a law scrapping prison sentences for first-time perpetrators of domestic violence, the number of reports of abuse has “increased significantly,” according to a Moscow human rights spokesperson. In December 2018 a poll revealed that 49 percent of Russian women feel they are most at risk of violence at home. Now the law does not punish first-time abusers causing “minor harm,” defined by legislators as small abrasions, bruises, superficial wounds, and soft-tissue damage. Compounding the situation is the application of anti-extremism laws against feminist activists for social media posts and protest activities. Reporting domestic violence is difficult, but especially difficult for poorer Russians. The penalty for “minor abuse” is now a fine, which if ever imposed, would most likely come out of the family budget. So, victims in low-income families living a-hand-to-mouth existence are disinclined to report abuse. But this year March 8 is different in Russia and Belarus. 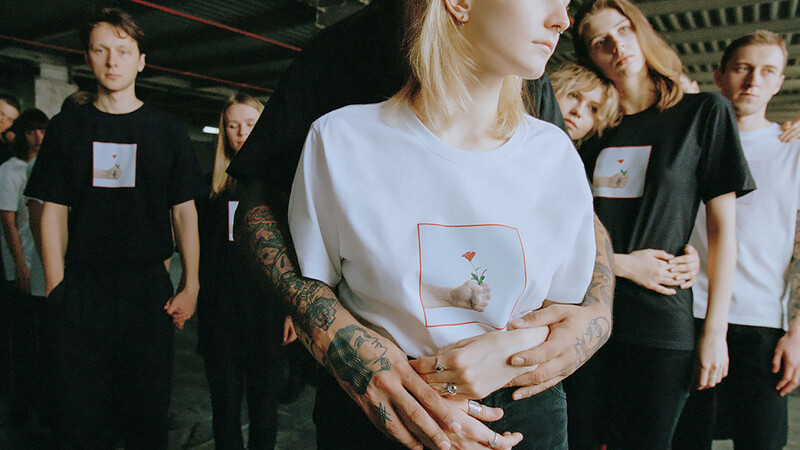 A series of events under the banner of “Not Her Fault” will be held to raise money for a charity that helps survivors of domestic abuse, and to underline the seriousness of Russia’s endemic domestic violence. Even the name of the event addresses the psychological trap forged by abusive relationships. Concerts, exhibitions, jumble sales, lectures and poetry readings will be held in 20 Russian and Belorussian cities, from Irkutsk to Minsk. There have been events of this type before, but they were held only in the larger cities such as Moscow and St. Petersburg. The upcoming events are drawing plenty of attention. Across Russia and Belarus, Instagram, Facebook and VKontakte users in their thousands have been following and discussing the festival. Well-known online intersectional feminists such as Katya Valera, Anya Sakharova and Lolja Nordik are a few of around 40 activists organizing and coordinating the festival, while also plugging the events on their profiles. Moscow’s “Not Her Fault” events take place on Friday at 1 p.m. at two bars, Uspekh and Punk Fiction Bar, with a program of three lectures, six poets, 11 bands, a market and an art exhibition, Belavsky said.